Taking certified nursing assistant classes in Virginia will provide you with a chance to work in the health care industry in different settings such as nursing homes, long-term care facilities, and homes for the aged. Nursing assistants are currently in great demand due to the number of people who now need their services. Such people include the large number of elderly and chronically ill patients in long-term care facilities. 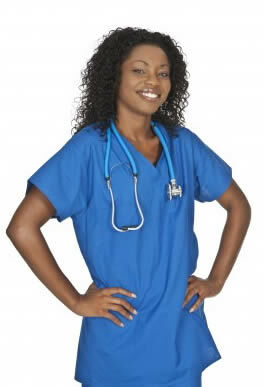 If you are interested in entering the medical field, becoming a nurse aide can be your cheapest ticket to do so. The training only costs about $400 to $800, and it can be finished within a few short weeks. What Are the Certification Requirements to Become a Nursing Assistant in Virginia? When you enroll in a CNA training program, you are taking the first steps into becoming a certified nursing assistant. The state requires at least 120 hours of total classroom and clinical training hours in order for a facility to be approved by the Virginia Board of Nursing. After finishing the course, you will then be allowed to take the state competency exam which is required in order to gain the certification. As a nursing assistant you would be taking direct patient care providing services such as bathing, cleaning your patient, taking vital signs, providing basic patient care as well as safety and emergency procedures. The state of Virginia requires at least 120 hours of training in order for one to become a certified nursing assistant. The program should be able to provide students with the basic skills and knowledge about nursing aide work. Some of the common courses which are tackled in the program are medical terminology, infection control, CPR and other emergency procedures, nutrition, resident rights and independence. The course is usually conducted by a registered nurse or a licensed physician with a 2-year experience in long-term care as required by state laws. You can read more about the nursing assistant certification requirements in Virginia by clicking here. After completing the program, the student may then apply for the state competency examinations which can be given within 2 weeks after finishing the course. The test is comprised of two-parts which are a written or oral test and a hands-on skills test and which is accepted by the state as a high school credit if you are able to pass them. A student will be entered in the Virginia State Nurse Aide Registry and be legible for employment if he or she passes the test. What Are Some of the Popular Schools That Teach How to Become a Certified Nurse Aide in VA? Some of the training facilities that offer such programs are the American Red Cross in Richmond, Virginia which offers the course for 150 hours; Germanna Community College which is an accredited school by the Commission on Colleges of the Southern Association of Colleges and Schools; Adult Career Development Center; J. Sergeant Reynolds Community College which offers and 8-week course; and the Lord Fairfax Community College. The course runs from 6-8 weeks for at least 120 hours with clinical and classroom sessions. The average annual salary for a CNA in Virginia is about $16,640. Your salary can be higher than this if you have a longer experience or are on a different location. Being employed in government institutions can also give you a higher salary.